Henry Herbert Tailors offer a bespoke shirt making service with Liberty prints. The service is simple and quick. 1. Buy your fabric from Liberty, either online or from the world famous Liberty store on Regent Street. You will need to buy two metres of fabric. 2. Send the fabric to Henry Herbert Tailors, quoting your collar size. The address is Henry Herbert Tailors, 156-158 Gray’s Inn Road, London, WC1X 8ED. Please include your full name, address and contact email & telephone number. 3. As soon as we receive the fabric, a Henry Herbert tailor will be in touch to confirm your order. Each shirt is £175 incl. VAT which includes all tailoring and delivery charges. Payment will be taken upon confirmation of order with a Henry Herbert tailor. 4. You will receive your Liberty print shirt three weeks later by special courier service. 5. That’s it! To learn more about Henry Herbert Tailors just visit our About page or please feel free to contact us. See also: custom shirt, custom shirts, fabric, Gray, Henry Herbert, Henry Herbert Tailors, Henry Herbrt, Inn Road, Liberty, liberty clothing, liberty fabrics, liberty of london shirts, liberty print, liberty print mens shirts, liberty print shirt men, liberty print shirts for men, liberty prints, liberty shirt, liberty store, London, mens liberty print shirt, paisley shirts for men, Regent Street, supreme liberty print shirt. Bespoke Liberty print shirts by Henry Herbert Savile Row Bespoke Tailors. 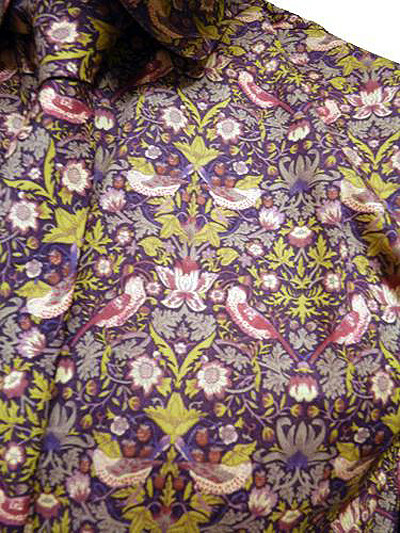 Simply provide the Liberty print fabric and we will make the shirts for you!